What would you choose if you were asked to come up with an iconic posture that sums up our 21st century lifestyle? Sadly, I suspect, many of us would visualise someone bent-double over their keyboard at work, or perhaps slouched in full ‘sofa sloth’ style in front of the TV. From the driver’s seat – to the office chair – to the sofa at home; it would seem that 21st century life is a predominately sedentary one. 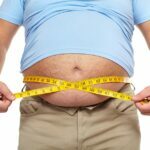 What effect is all this sitting having on our health? 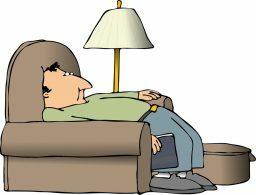 What’s the best way to tackle the health issues raised by our increasingly sedentary lifestyle? Is sitting the new smoking? ‘Sitting is the new smoking’ advert on the London Underground. Move 1 is a UK group tackling the epidemic of child inactivity. Visitors to central London may have noticed some striking billboards posted in several London Underground stations recently. 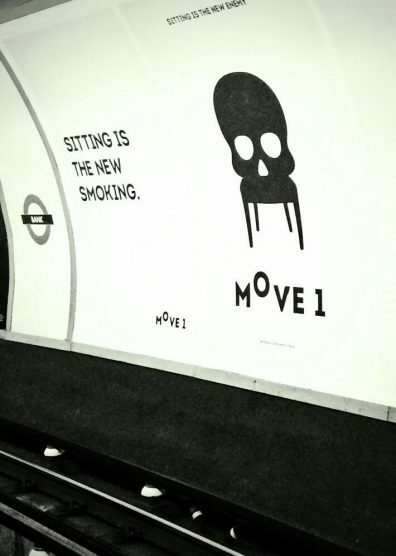 They display a prominent black and white graphic of a chair, the backrest transformed into the image of a deaths-head, complete with a ‘Sitting is the new smoking’ caption. A bad joke, or yet another example of fear-mongering in what is increasing seen as an overly risk-adverse culture? ‘Sitting is the new smoking’ is a phrase coined by Dr. James Levine, director of the Mayo Clinic-Arizona State University Obesity Solutions Initiative and inventor of the intriguingly named treadmill desk. Levine has been studying the adverse effects of our increasingly sedentary lifestyles for many years now and is convinced that prolonged sitting is not only taking a major toll on our health but also shortening our lives. Is he right? Earlier this year, newspapers carried the headline “Lack of exercise is twice as deadly as obesity”. 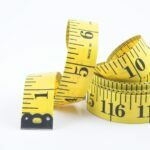 These were prompted by the damning results of a Europe-wide study on obesity, exercise and health. Research in the UK suggests that the average adult spends nearly 9 hours a day sitting. The message seems to be very clear. We may not be able to, or indeed want to, transcend our office furniture or our comfy sofas completely, but ‘how long we sit’ and ‘how we sit’ in them may make a significant impact on our health over time. if possible decide to walk to work or get off the bus a few stops early. instead of sitting on the train or bus try standing. opt to take the stairs and/or walk up the escalators when out shopping. set a reminder on your phone or computer to get up every 30 minutes. alternate seated with standing while working. if possible invest in a sit/stand adjustable work desk. when the phone rings stand to answer it and/or walk around. Use the lunch or tea breaks to take the opportunity for a short walk. Punctuate evening TV viewing with brief activity breaks. We practice what we preach – that’s me! 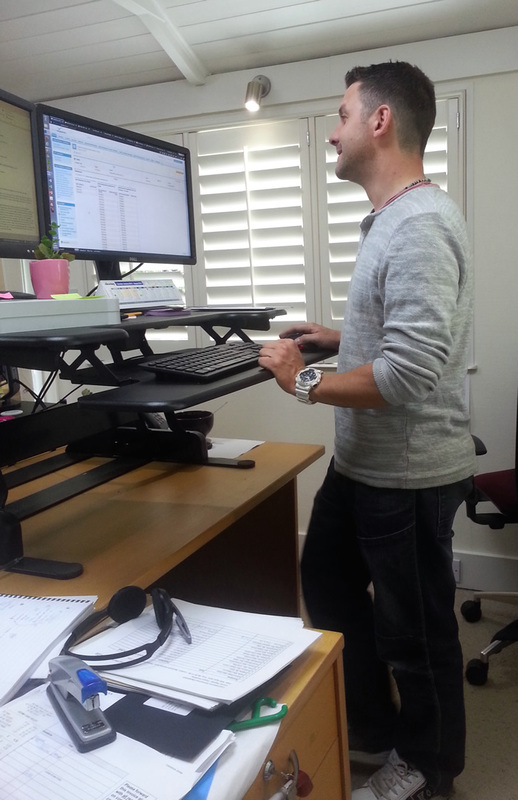 We all use adjustable workstation platforms here at OFI. I can vouch for the benefits of standing while working. If you work in an office environment, the chances are that you spend the majority of your time sitting. However, the benefits of standing are finally starting to catch on. 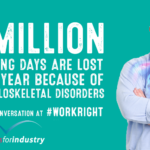 More and more businesses are starting to invest in their employees well-being by providing workstations for standing use, or desks that can be raised or lowered to accommodate staff that would like to try standing. A Sit-Stand (height adjustable) work station is an excellent solution. It will enable you to simply alternate between sitting and standing as you feel appropriate. We propose mixing it up. Try to stand intermittently at your Sit-Stand desk for periods of between 15 mins and two hours at a time. Take breaks, walk around and mix it up every day. Health and safety in the workplace has given us guidance (HSE L26) for ‘how to sit’ in our offices, but what about in the comfort of our own homes. 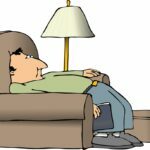 Ergonomic research has shown that the short term pleasure of throwing yourself into your favourite armchair is no measure of the furniture’s ability to provide both longer term comfort and good postural support. If we are to reduce the strain on joints and muscles an appropriate match between the dimensions of the seat and those of its user are a vital consideration for both comfort and for good posture. Are you laid back? Sofas or chairs with excessive seat depths inevitably deprive us of the full support of the backrest. This can lead to that slumped posture which can place strain on the joints, ligaments and muscles of the back. A backrest should ideally support your back, to shoulder level or more, in a reclined position, to help you maintain the natural curves of the back. If the backrest is not doing its job and your muscles are having to provide additional support, then really being ‘laid back’ will be difficult. Getting that sinking feeling? Is soft always good when choosing upholstery? Soft padding on a chair certainly helps distribute the pressure of sitting over a wider area but if it is excessively soft it may actually reduce comfort. This is because the pressure may be spread to more sensitive areas such as the undersides of the thighs or outer edges of the buttocks. Apart from providing inadequate postural support, excessively soft upholstery may also contribute to adverse pressure on the hip joints. 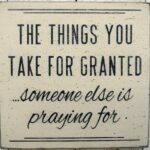 Keep your feet on the floor! Ideally the height of the chair should not exceed the distance between the base of the heel and the back of the knee. This can lead to undue pressure on the undersides of the thighs and quickly lead to discomfit. Most ‘comfy’ chairs or sofas will be low enough however to allow you to stretch out your legs. If your chair is too low however getting out of it may, for some at least, present a challenge! Where’s the remote? The younger generation may express disbelief about that distant era when some of us had to get up out of our sofas in order to change the channel. The ‘good old days’ weren’t altogether bad then, especially now when it seems that ‘get up and move’ has become the new health imperative.